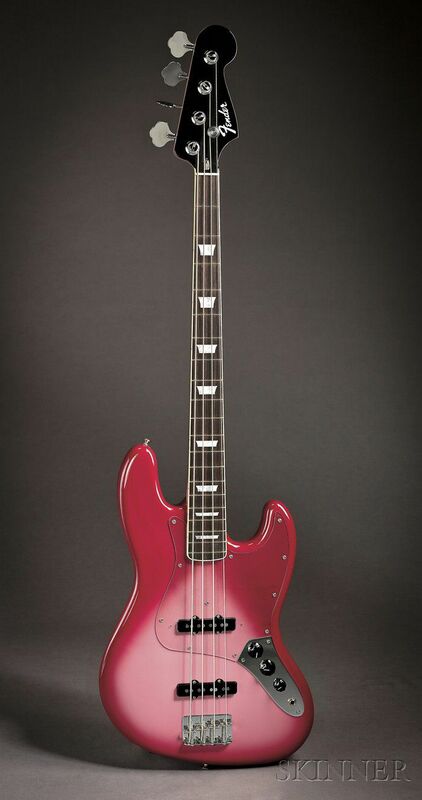 American Bass Guitar, Fender Custom Shop, Corona, 2010, Model Jazz Bass, by John Cruz, serial number JC 1462, signed on the back of the headstock, expressly for the Pinkburst Project, with Pinkburst Project TKL custom case. 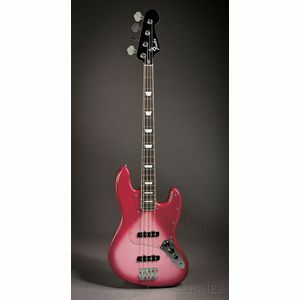 "The eighth guitar and the third Fender in the collection is the Jazz bass. 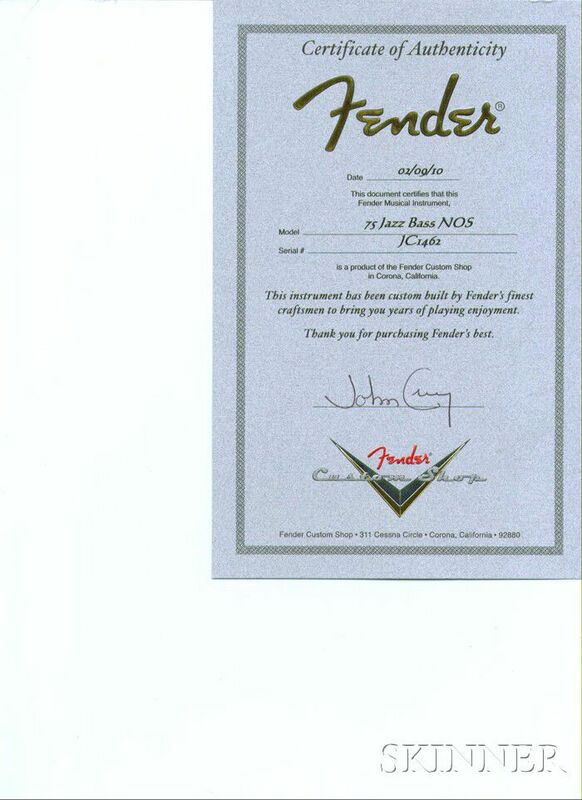 I decided on it over a Precision bass because I liked the thinner neck and it already had square inlays which looked a little like the trapezoid inlays that the guitar had to have. Like the Strat it has a body contour. In this case John and I decided to leave the original shape and forgo the body binding. This was an aesthetic decision. it just worked better not to make it a flat top." "The body was again made of mahogany, but I decided to make the neck with quartersawn maple for better stability, with a 12-inch radius Indian rosewood fretboard, trapezoid inlay and Fender logo inlaid into the peg face."